Rosemary "Snookie" Kozlowski, 90, Luxemburg, passed away Sunday, April 8, 2018 at Oak Creek Assisted Living. She was born Nov. 18, 1927 in Sturgeon Bay to Edgar and Frances (Johnson) LeRoy. "Snookie" married Frank "Shorty" Kozlowski in Door County on Feb. 16, 1946. The couple owned and operated "Shorty's" Bar in Gregorville for 27 years. While running the bar, "Snookie" also worked as a nurses aid at the Algoma Hospital. She was the care giver for her mother for many years. "Snookie" was that type of person that everyone loved to talk to and she loved to talk to everyone too. She was always the "social butterfly" at any event she went to. She was a very hard working lady and always had time to help you out. She was a member of St. Mary Church, Rosary Society, and was involved in many postitons with the church. She was a volunteer for St. Vincent DePaul in Algoma. She enjoyed baking pies and breads and giving them away, she was good at leather tooling, upholstery and loved to read. "Snookie" is survived by one daughter Linda (Mark) Lemens, Luxemburg; son Paul (Barb) Kozlowski, Casco; Kerry (Kay) Kozlowski, New Franken; nine grandchildren Tammy (Carl) Salzseider, Algoma; Shelly (Craig) Yakel, Luxemburg; Dustin (Tammy) Hoffmann, Luxemburg; Dan Kozlowski, Green Bay; Angie (Donnie) Berceau, Casco; Jason Kozlowski, Casco; Sara (Craig) Anderson, Menomonie; Adam (Sandy) Kozlowski, Green Bay and Evan (Katie) Kozlowski, Crystal Lake, IL; 15 great grandchildren, 6-great-great grandchildren; Sister-in-law Rosalie M. Kenkel, Sister Bay; and brother-in-law Linus Bertrand, Algoma. She was preceded in death by her parents, husband Frank, brother Sam LeRoy, sister Donna Bertrand, great grandson Andrew Kozlowski, brothers and sisters-in-law John (Phyllis) Kozlowski and George (Helen) Brauer. Family and friends may call at St. Mary Catholic Church, Thursday, April 12, 2018 from 9:30 AM until the Mass of Christian Burial at 11 AM with Rev. Peter Stryker officiating. Entombment at the Shrine of the Good Shepherd Mausoleum. the family wishes to give a special thank you to Unity Hospice care givers and Oak Creek Assisted Living staff for all the kindness and care given to "Snookie" during her stay there. To send flowers or a remembrance gift to the family of Rosemary Joyce "Snookie" Kozlowski, please visit our Tribute Store. 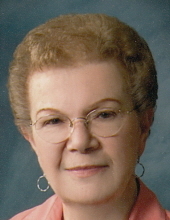 "Email Address" would like to share the life celebration of Rosemary Joyce "Snookie" Kozlowski. Click on the "link" to go to share a favorite memory or leave a condolence message for the family.